A multifaceted city, Leipzig has many highlights for you to discover with our limousine service. The famous composer Johann Sebastian Bach had an important role in developing this city's century-old musical culture. The annual Leipzig Bach Festival pays tribute to this. Experience the Leipzig Old Town Hall, St. Nicolas Church, as well as the Schiller House, where Friedrich Schiller spent the summer of 1785. The Gewandhaus (concert hall), Monument to the Battle of the Nations (Völkerschlachtdenkmal), Leipzig Bach Archive (Bach-Archiv Leipzig) and the Leipzig's City History Museum are among the most popular attractions. Select our hourly hire option and we will put a city tour together for you, if you wish. 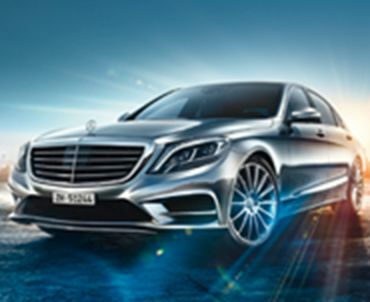 We also offer chauffeured limousine transfers, both in Leipzig and the surrounding area. At TOP-ALLIANCE, we set our own high quality standards so as to meet our clients' demands, successfully and daily. Our fleet of late model business class and elegant first-class limousines, driven by professional chauffeurs, is at your disposal. We offer transfers to and from airports, transfers from A to B as well city or regional tours. Our fleet includes spacious, luxurious minivans for groups of up to eight people. Comfortable buses are available for larger groups. Take an elegant ride to your business meetings, events and road shows, arriving relaxed and confident when you step out of a TOP-ALLIANCE vehicle. Book a City Tour or Use Our Reliable Airport Service. Contact our 24/7 live support team by phone or email. Booking is so easy, you can do it in three steps: Step 1: Select either a transfer (trips from A to B, say, to and from the airport, from the hotel to the convention) or an hourly hire, which means a dedicated chauffeur is at guest's disposal for the time period you book. Step 2: Select from our exclusive range of vehicle models and let us know how many passengers and how much luggage to expect, along the pickup and drop-off times and locations. Step 3: Select a payment method. We accept credit cards and bank transfers, or we can invoice you. TOP-ALLIANCE's friendly, experienced booking team will gladly help you will all your transportation needs. TOP ALLIANCE – Perfection down to the last detail. Services in the listed cities are provided by TOP-ALLIANCE and/or our partners.